Cleaner desks are one nice side effect of switching to electronic forms. Business and forms go together and have done so for a century or more. It’s easy for businesses, particularly those that have been around for a long time, to stick with tried and true ways of doing things. This may unfortunately mean using paper forms even after significantly better alternatives exist. If your business or organization is still using paper forms, and you’ve considered switching to online forms, what are you waiting for? The benefits of online forms are there for the taking, right now. Here’s why there’s simply no contest between paper forms and online forms. Even people who have not been trained in typing often find it faster to complete online forms than they do paper forms. Filling out a paper form neatly and legibly can be a big challenge to some people, especially if the form fields in which they are supposed to enter information are small. People with average typing skills can complete electronic forms quickly, and if they make a mistake, they don’t have to cross it out, because they can go back and fix it before submitting the form. Online forms can also be designed to ensure a minimum of errors and consistency of format. For example, if someone attempts to enter text into a field that requires a number, online forms can be triggered to pop up a flag indicating that the data should be re-entered in the proper format. And auto-populate features can ensure that when someone enters information needed elsewhere, or on other, related forms, it is entered automatically as soon as the user enters the information the first time. Some forms need to be archived, and while filing cabinets can be models of organization, they’re still harder to navigate than online archives. 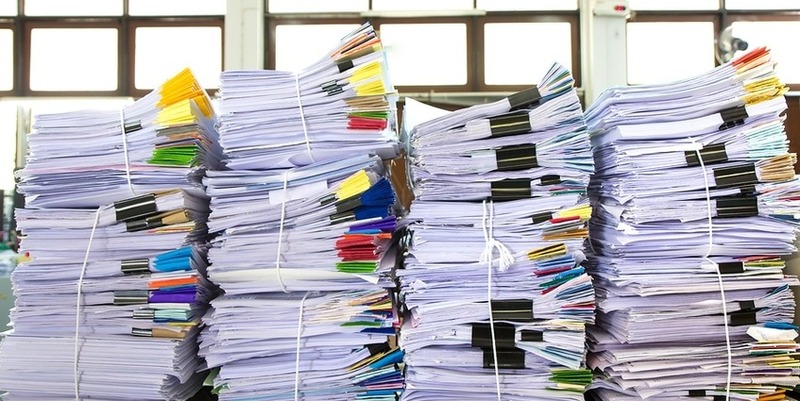 It’s a lot faster to bring up an archived form by entering a keyword or key piece of form information than it is to go through physical cabinets full of paper forms – which may or may not have been filed in proper order. Getting rid of paper archives can be tremendously freeing for businesses and other organizations. It frees up space for other purposes, and makes file retrieval instantaneous, so the pace of business can proceed faster. 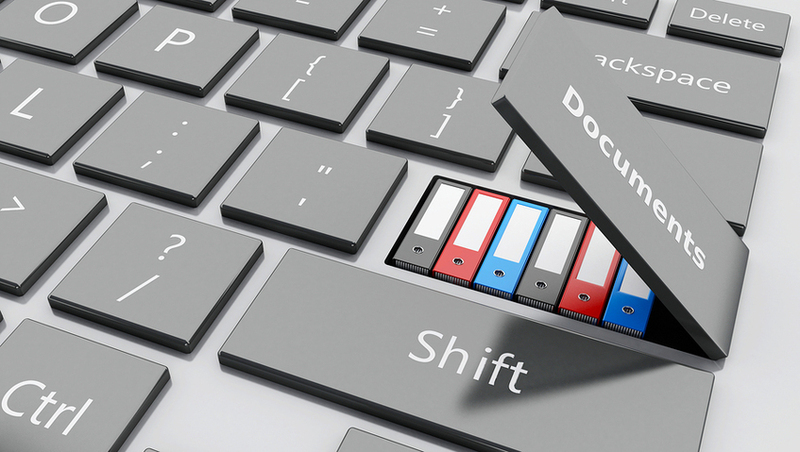 Electronic archives are faster, more secure, and simply better all around than paper archives. One of the best things about online forms (assuming you use capable online form software) is that they can create the foundation for sleek, automated workflows. Instead of someone returning from a business trip and submitting a paper form with a bunch of receipts stapled to it, they can submit an electronic form with either electronic receipts or phone photos of actual receipts. Once submitted, the form can be automatically routed to the exact personnel responsible for reviewing the claim and approving reimbursement. It’s faster, and it doesn’t result in piles of paper that have to be filed or disposed of. Here’s a novel use for mobile-friendly electronic forms. Researchers in the African nation of Sudan replaced paper-based questionnaires used with people living with chronic obstructive lung disease with mobile-friendly surveys. Participants used the forms to report health issues like coughing, wheezing, and shortness of breath. The researchers found that error rates were drastically reduced when compared to error rates for paper forms, and that the mobile forms were far likelier to be complete and consistent. In other words, the mobile-friendly electronic forms allowed health officials to collect better data more comprehensively concerning serious public health issues. If you’re still using paper forms, there is no time like the present to make the transition to online forms, and PerfectForms makes it easy. There is no programming, so you can use an intuitive drag-and-drop interface to create customized online forms that meet your needs exactly. And PerfectForms allows you to easily share data from forms with spreadsheets and other office software, eliminating duplication of effort when data must be shared. We invite you to watch our demo video, because we’re sure you’ll be inspired to move beyond paper forms once and for all, with a solution that is straightforward, powerful, and customizable for any business. This entry was posted on Thursday, November 8th, 2018 at 3:58 am	and is filed under Workflow, Workflow Design, Workflow Software. You can follow any responses to this entry through the RSS 2.0 feed.